Four of us are undertaking a huge personal challenge to raise funds and awareness for Haemochromatosis, and we hope you don’t mind us taking the liberty of asking for help and support…. please read on. 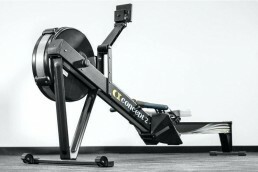 Anyone who has spent time on the Concept2 rowing machines will appreciate the enormity of the challenge being undertaken. Paul Holdaway and his dad, Lee have put in 6 months of gruelling training. 7hrs constant on one of these bad boys is not for the faint hearted.. They are not alone, close friends James Bennett and Andy Ashby both first time rowers have taken on the challenge of rowing a marathon – 42,195 mtrs… no mean feat in itself. We will have a spare rower on the day, so please help by coming along to row anything from 1000 meters +, donating £5 to our good cause.. Or donate the £5 and nominate a friend or family member to do the rowing for you.. Or just support this extreme challenge, for this very worthwhile cause and donate through our Justgiving page. Don’t forget we match pound for pound what’s raised.. If you can come along and offer your moral support that too will be greatly appreciated, it will be a long day in the saddle for us guys, but knowing we are making a difference in some way will get us through it I am sure. We raise money primarily through our running events, we have a 5k race series and a successful Poppy Half Marathon event helping those in need improve their health and wellbeing. We provide grants to charities locally advancing education for the under 25’s, by developing mental, physical and moral capabilities. Got a question? If you can’t find the answer on our site or via our Facebook feed, please get in touch through our contact us page.